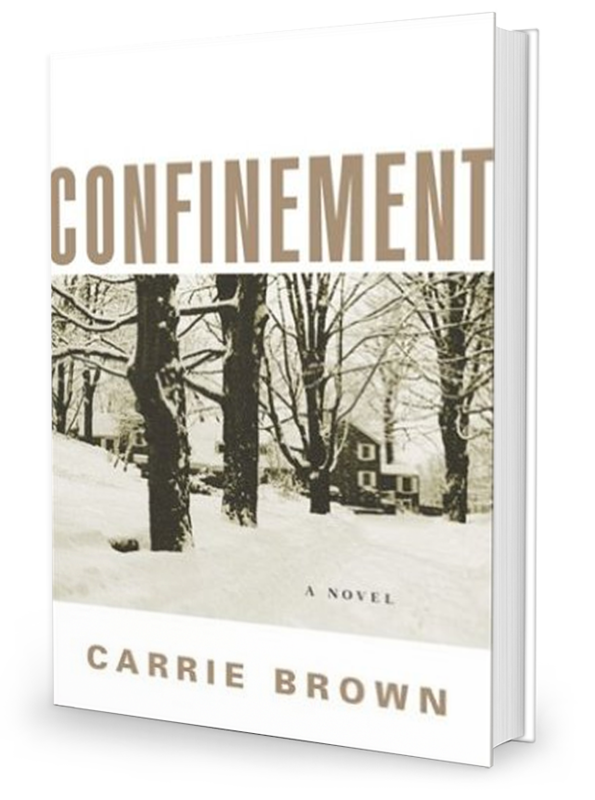 Infused with her trademark haunting sensibility, Carrie Brown’s fourth novel is a deeply moving tale of the small miracles and large revelations of love. On a snowy night in the winter of 1946, Arthur Henning arrives at a New York banker’s country estate. All he has with him are his young son, his sewing machine, and the painful history of the refugee — the home in Vienna he left behind, the wife and infant daughter who perished in London’s blitz, and the relatives and friends who disappeared into the abyss of the Holocaust. He has come to begin a new life and to forget. Once an expert tailor, now he is employed as a chauffeur. He drives Mr. Duvall to work in the city, Mrs. Duvall to her shopping, their daughter, Agatha, to school. The job gives Arthur solace. There’s a cottage for him and his son, Toby, to live in, congeniality in the mansion’s kitchen with the other servants, pleasure in watching Toby grow up alongside charming little Agatha. And so there he remains for nearly a decade, hidden, unable to confront his shattered faith, his fear, and the measure of everything he has lost. Hidden, that is, until life steps in to release Arthur from his seclusion. On orders from Mr. Duvall, he must drive Agatha to her own confinement in that peculiarly evil American institution of the 1950s, a home for unwed mothers. The Duvall’s plan to give the baby away shocks Arthur from his emotional slumber. The story of these two people — a man who has lost his past and a girl who is forced to give up her future — winds its way to a conclusion that is both inevitable and wholly unpredictable. The interplay between love and loss–major themes in Brown’s fiction–is handled masterfully here. Arthur Henning, an Austrian Jew, had relocated to America with his nine-year-old son, Toby, after losing his wife and infant daughter when their building was bombed during World War II. Then Toby disappeared at the age of 18. Arthur has been sustained by his love, improper but never acted on, for Aggie Duvall, daughter of the banker for whom Arthur has been a driver for 17 years. It was Arthur, not Aggie’s alcoholic mother or frequently absent father, who supported the girl emotionally when, pregnant at 17, she was sent away. Most of the events in this novel are apparent early on, but the how and why that matter most are revealed gradually through seamlessly woven flashbacks, including Arthur’s memories of a Jewish doctor (beaten by German soldiers in Vienna) that are more vivid than his memories of his wife. With its luminous language and an ending more sweet than bitter, this poignant, richly layered novel is something exceptional. When Arthur Henning and his young son, Toby, arrive at the Duvall family’s New York country estate one wintry night in 1946, Arthur is resolutely ready to start his new life as a chauffeur. At the onset of the Holocaust, he and his family fled to London from Vienna, but his wife and their infant daughter were killed in the Blitz. Arthur and Toby befriend Agatha, the Duvalls’ daughter; when she becomes pregnant, Mr. Duvall asks his chauffeur to drive her to a home for unwed mothers. Arthur refuses to desert her, and in this act of selflessness begins to break through his own confinement of memories and overwhelming obligations to the past and the present. Brown’s exquisitely written novel is a complex exploration of the horror and aftermath of war, and also of love, redemption, and the peace one makes with oneself. The book is filled with vivid history, but without a trace of sentimentality. The writing is most lyrical when the novel turns to Arthur’s thoughts and memories. His transformation causes him to realize how fragile and tenacious hope is. Readers will find this story compelling and powerful, and will care about the characters’ fates.